'A new star of the cello is discovered,' DR Radio Denmark (2014). 'Among the most charismatic of young classical artists,' Deutsche Grammophon. Although every year has been quite a year. After studying in Paris and Berlin, in 2014 she was chosen to represent Belgium at the European Broadcasting Union Competition, won first prize and was named New Talent of the Year. More triumphs followed with wins at the Yamaha Music Foundation of Europe Strings Competition, the Edmont Baert Competition and the Léopold Bellan Competition. And she was already a star when chosen as one of the Stars of Tomorrow by the tenor Rolando Villazón on his influential Arte show in 2016. 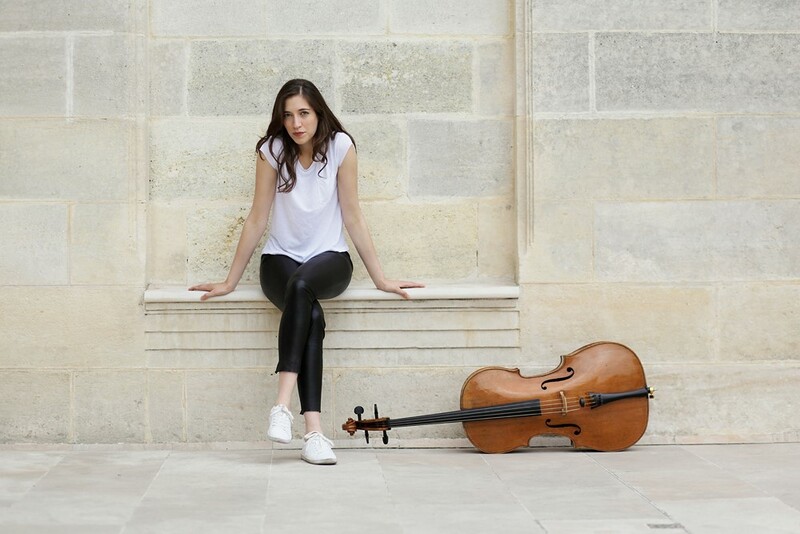 In 2017, Camille became the first female cellist to join Deutsche Grammophon’s artist roster, and the first Belgian Artist to sign to the international label. And of course she took part in pause, at one point, gamely climbing over Roman ruins to play El Cants Dells Occels, something no-one who was there will forget. More usually, she appears as a soloist with orchestras at concert halls from Paris, Geneva, Brussels and Berlin to Jerusalem. You can hear her on her debut album, A Century of Russian Colour, on her first for Deutsche Grammophon (Camille Thomas: Saint-Saëns | Offenbach with the Orchestre National de Lille conducted by Alexandre Bloch) and on Réminiscences, with pianist Julien Libeer, the latter winning the ECHO Klassik award for chamber music. Camille plays a magnificent cello made by Ferdinand Gagliano (Naples, 1788), the 'Château Pape-Clément', on generous loan from Bernard Magrez.